Tesla’s Autopilot feature isn’t a fully autonomous system—something the company itself keeps telling people. But that hasn’t stopped some Tesla owners from leaving the driver’s seat and letting their cars control themselves. The latest incident took place in the UK, but unluckily for the driver in question, it was caught on video by a motorist. In May 2017, Nottingham resident Bhavesh Patel was filmed by a witness in another car as he passed in his Model S. Travelling at 40 mph on the M1 highway, Patel was sat in the passenger seat while the Autopilot did the driving. "He not only endangered his own life but the lives of other innocent people using the motorway on that day," said PC Kirk Caldicutt from Hertfordshire Police. The court said Patel was the "unlucky one who got caught," according to the BCC. He was banned from driving for 18 months, ordered to work 100 unpaid hours, has to conduct ten days of rehabilitation, and was fined £1800 (around $2472). Earlier this month, Tesla said the reason a Model X crashed into a barrier and killed driver Walter Huang in March was because he kept his hands off the wheel despite repeated warnings from the system. 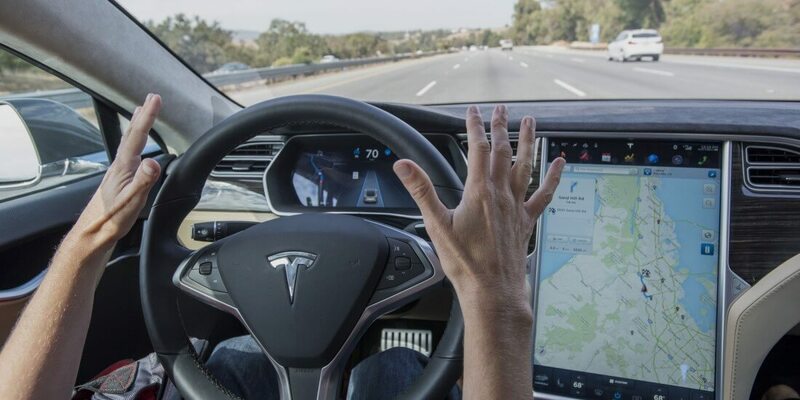 Autopilot alerts drivers when it detects they’re not holding the wheel. If the warnings are ignored for a minute, the feature is switched off for the rest of the drive.